The Eternal City is undoubtedly one of the most beautiful cities in the world with many sites to admire. However, summers here can get very hot, crowded and tire you out quickly. Don’t let the sizzling temperatures to ruin your holiday, there are many activities you can still enjoy without sweating too much. Rome has many beautiful parks where you can escape the summer heat. Rent a boat in the Villa Borghese for a pleasant relaxing ride surrounded by ducks and swans. You can also rent a bike and pedal slowly past the park’s fountains, lakes and historic buildings along the tree-lined paths. 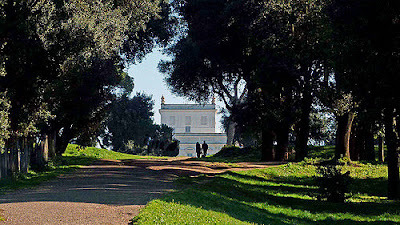 Do a spot of bird watching in Rome’s largest park the Villa Doria Pamphili or have a picnic under the pines in the Villa Ada park. 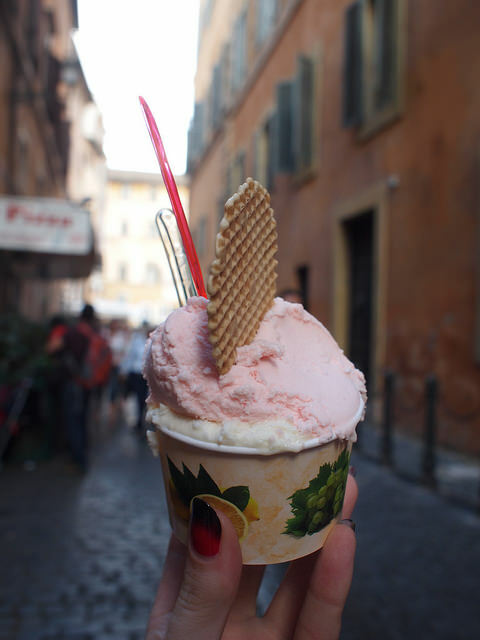 One of the best little pleasures in Rome is gorging on the city’s famous gelato. Many gelaterie have outdoor tables under umbrellas, so you can grab a cone and sit outside people watching. Look out for smaller shops renowned for their artisan quality, which sell the best gelato in Rome such as Dei Gracchi near St.Peter’s Basilica, Fatamorgana or Gelateria del Teatro. The key word here is “small” as you do not want to stand in a line for tickets or elbow for space to see famous masterpieces. Head to small museums in Rome to discover the less known side of the Eternal City. They offer a pleasant respite from the summer heat and a vast range of masterpieces that are often overlooked by visitors to Rome. When the sun is blazing down on Rome’s streets, it is time to explore the underground city rich with historic treasures. You can explore the impressive early Christian catacombs, a Capuchin Crypt decorated with disassembled 3700 skeletons on the glitzy Via Veneto or subterranean ancient Roman house under the Basilica di San Clemente. Who said you have to stay in Rome and endure the city’s sizzling heat? 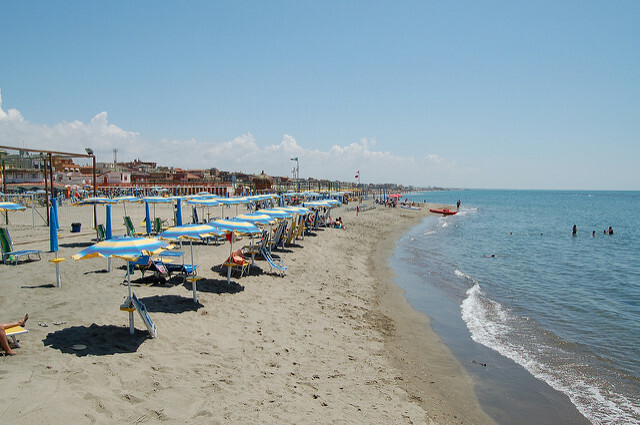 Escape to one of the beaches nearby! Hope on a train and you will be swimming in the sea in 30 minutes in Ostia, Maccarese or Fregene. Photos via Flickr by: Giorgio Rodano, Becky Stern, Jerónimo Pérez.